Analytics is hard. Strategy is hard. Combining the two is even harder. But the key to putting them all together in a way that moves your company forward is simplicity. We’re fortunate to have Adam Pierno, Chief Strategy Officer at Santy in studio this week to help us understand how to use data to form simple strategies that can be seamlessly executed. 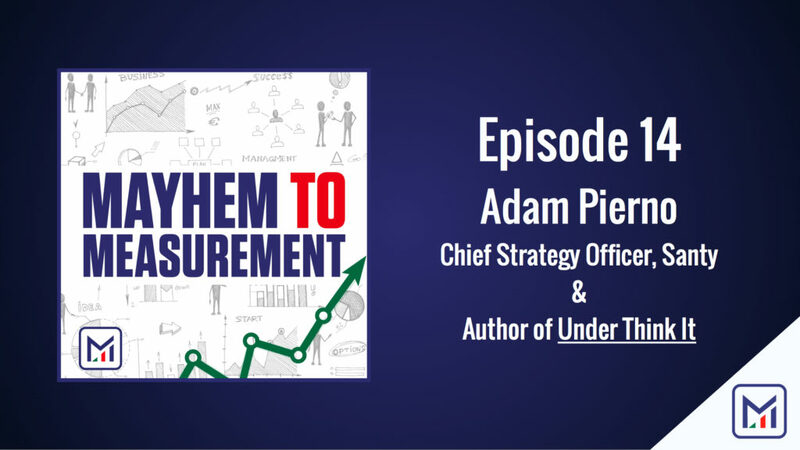 Adam is a former Creative Director working with some of the world’s most impressive brands, and his new book, Under Think It, is be a great guide for anyone looking to become more effective in creating winning strategies for their company. Be sure to pick up Adam’s book Under Think It on Amazon.